Andy Roddick reacts to winning what would be his last ATP World Tour title. An American star returns to Atlanta! The city of Atlanta holds great symbolism for tennis great Andy Roddick. It was here in 2012 where Roddick won his 32nd and final ATP World Tour title after defeating Gilles Muller of Luxembourg 1-6, 7-6(2), 6-2. Roddick would go on to retire from professional tennis two months later at the US Open. Ironically, Atlanta is the same site where Roddick won his first career title in 2001. Prior to 2010, Atlanta was home to the Verizon Tennis Challenge, held at the Atlanta Athletic Club in Johns Creek from 1992 to 2001. In the tournament’s final year, Roddick would make his clay court debut, only dropping one set en route to the final, where he defeated Belgium’s Xavier Malisse 6-2, 6-4. 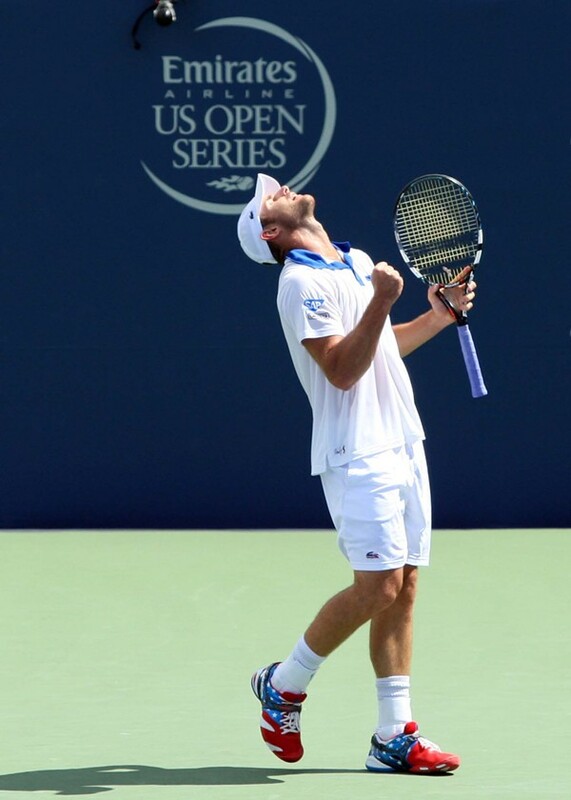 The win made Roddick the first American teen to win an ATP title since Michael Chang in 1992. Considered to be the last great American player after the Andre Agassi/PeteSampras era, Roddick was the last male tennis player to win a Grand Slam from the United States, 2003 US Open. Roddick is also the only American to make four other recent major final appearances after Agassi, Wimbledon in 2004-05, 2009 and the US Open in 2006. The fiery Nebraskan went twelve consecutive years of winning at least one title, the only other active player to accomplish the same feat is no other than Roger Federer. Roddick’s crowning moment came at 2003 US Open. On his way to the finals, he would have to rally from a two-set deficit and one match point in the semifinals before defeating David Nalbandian of Argentina 6-7(4), 3-6, 7-6(7), 6-1, 6-3. The more memorable match for Roddick would be the championship match against former French Open champion Juan Carlos Ferrero. Roddick showed no signs of wear and tear, quickly dismantling the Spaniard 6-3, 7-6(2), 6-3, giving him his sole Grand Slam title. By the end of the year, at age 21, Roddick was ranked world No. 1, the first American to finish the year at No. 1 since Agassi in 1999. In 2007, Roddick helped lead the U.S. to its first Davis Cup title since 1995 along with former BB&T Atlanta Open quarterfinalist James Blake and the Bryan brothers. Going 6-0 in Cup play, the U.S. defeated Russia 4-1 in final, helping Roddick become the first American to go undefeated and lead his country to the Davis Cup title since Sampras in 1995. Roddick’s 33 Davis Cup singles rubber wins in the competition for the United States are the second most only to John McEnroe's 41. Since his exit from professional tennis after a fourth round loss at the 2012 US Open to 2009 champion Juan Martin del Potro, Roddick has become a frequent host on Fox Sports One. In the PowerShares Series, a competitive tennis circuit featuring legendary tennis icons and world-renowned champions such as Agassi, Sampras, McEnroe and Jim Courier. 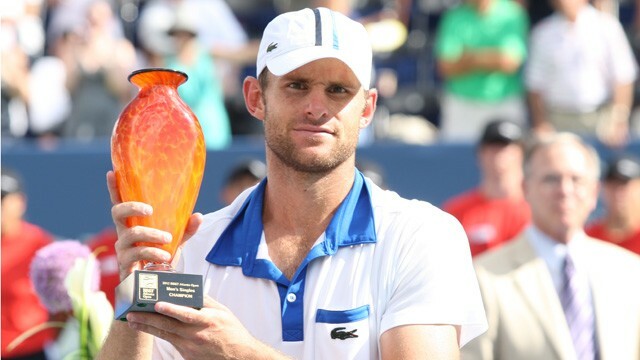 Roddick won the 2015 series with 1,600 points, obtaining eight of the 16 titles. Off the court, Roddick and wife/model Brooklyn Decker will welcome their first child this fall. On Monday, July 27, Roddick will participate in the Celebration of American Tennis exhibition presented by PowerShares alongside rising star Frances Tiafoe. The American has also agreed to come out of retirement to play doubles with long-time friend and 2010-11 BB&T Atlanta Open champion, Mardy Fish.